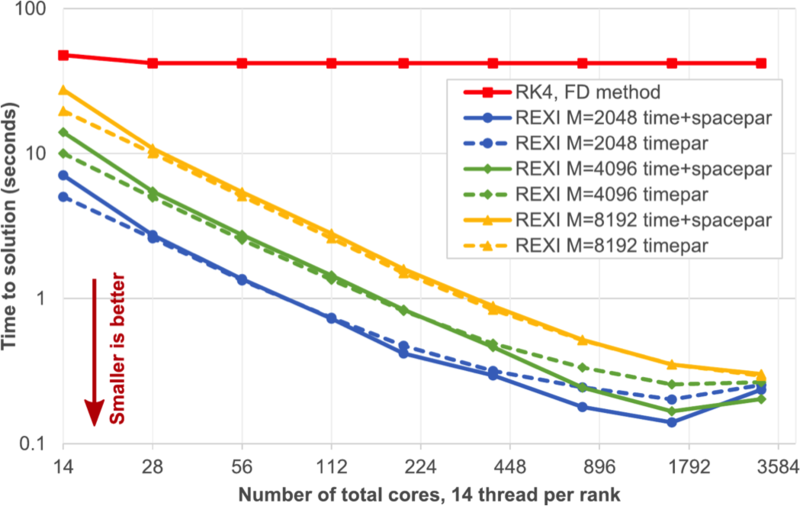 “For weather or climate models to achieve exascale performance on next-generation heterogeneous computer architectures they will be required to exploit on the order of million- or billion-way parallelism. This degree of parallelism far exceeds anything possible in today’s models even though they are highly optimized. In this talk I will discuss the mathematical issue that leads to the limitations in space- and time-parallelism for climate and weather prediction models – oscillatory stiffness in the PDE. 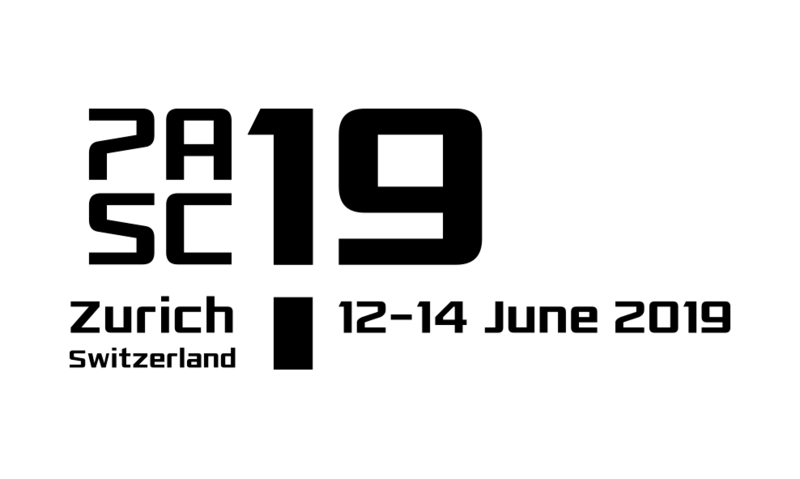 I will go on to discuss recent successful time-parallel algorithms including the fast-converging asymptotic parareal method and a time-parallel matrix exponential”. Time to solution for a highly parallel rational function matrix exponential (REXI) for N=128×128, finite differences. 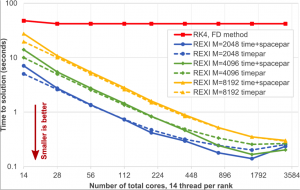 RK4 has saturated its time to solution while REXI improves the time to solution by two orders of magnitude. REXI is an important building block for parareal, paraexp, and exponential integrators. Beth Wingate is a Professor of Mathematics at the University of Exeter. Previous to this she was a Senior Scientist at the Los Alamos National Laboratory. 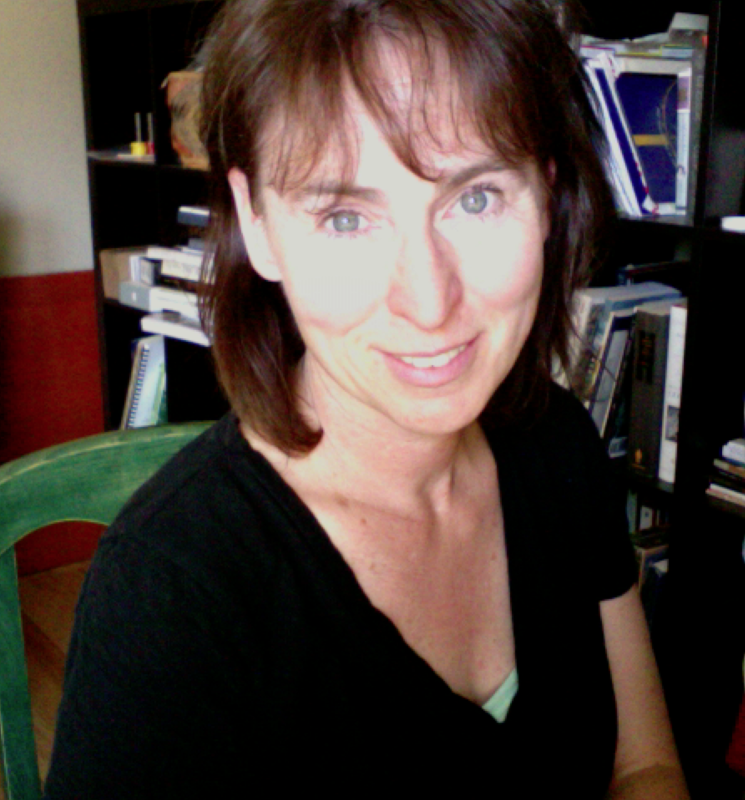 Her recent research is focused on dynamics in the Arctic Ocean, the slow/fast dynamics of the air-sea interface, and time-parallel methods for climate modeling intended to take advantage of increased parallelism available with heterogeneous computer architectures.